Last year I loved having our family bucket list. It was a great way to keep focused on the house jobs that needed doing, but also a reminder to include the fun too. 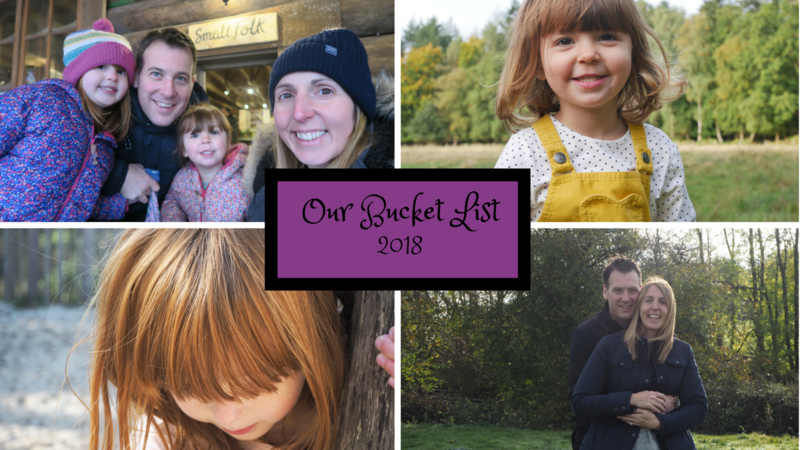 Here is our family bucket list for 2018! Now there girls are a year older I’ve added more to our family list as it’s easier to do things now Holly doesn’t nap etc. I also want to experience more as a family, we tend to stick to the same things that we do and it we need to mix it up a bit. I’m excited to see what 2018 will bring for us all as a family. I’ll update you on how we are doing throughout the year.